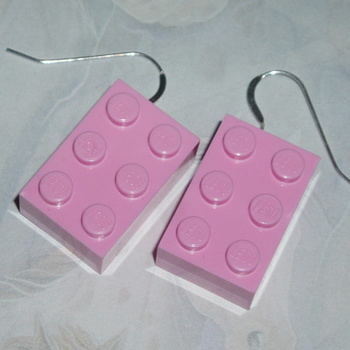 Pair of Rare 3x2 Lego bricks on Sterling silver wires. on Sterling silver wires.ery fashionable and fun to wear. Now with option of adding a bit of sparkle with a Swarovski Crystal on each Lego brick.